So Linden Lab is patiently trying to squeeze some needed cash by placing ads on their websites. Ciaran Laval seemed to have been the first to notice that Google Ads now appear on many of LL’s websites, and Hamlet Au picked up the story, quickly followed by many others. At least two forum threads on the official SL forums are discussing this. And guess what? Residents, as expected, are not happy. But for all the wrong reasons. This is the tricky bit. Linden Lab is certainly still “experimenting”: some people can see the ads, some cannot. They seem to appear at the main site, at the Dashboard, and probably elsewhere too. When you see an ad by chance and refresh them, they disappear, which makes many people wonder if they’re really seeing them at all! For a while I didn’t see any ads, but then I noticed one ad appearing on my Dashboard — surreptitiously! When the page loads, there was no ad whatsoever. After a minute, however, the ad appeared. What seems to be going on is that Linden Lab put a timer on the pages displaying ads, and they will only be shown if people stay on the same page for a while. Why exactly they are doing this — except for making them less visible and keep the drama down for a while — is beyond me; Linden Lab, as far as I know, hasn’t officially said anything. These are not “Linden ads” like we have on the SL Marketplace. They are clearly Google Ads, which can be seen by examining the webpage’s HTML. 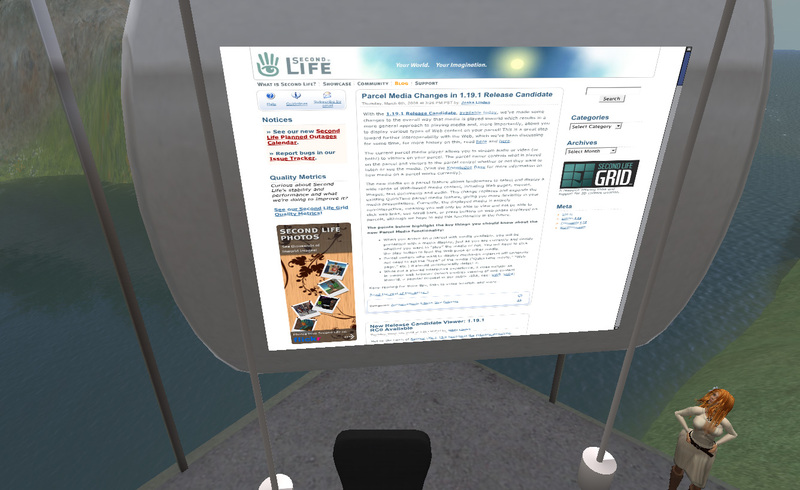 They seem to default to Linden Lab’s “own” ads first (like ads for Versu, Dio, etc.) and only show other products and services occasionally — this can all be done from the Google AdSense website, and it’s likely that Linden Lab will be tweaking those to minimize the impact (namely, filtering out ads from competitors, which is very easy to do). How much does Linden Lab expect to make from this? Hamlet Au calculates that LL’s websites have 300-400k regular unique visitors, and estimates that LL will be able to “earn the company income in the four to five figure range in US$“. Now I tried to ask Hamlet how he came up with these numbers, and obviously if they’re monthly on annually. Even US$99,999 annually wouldn’t matter much to Linden Lab — a company which probably makes around 75 million US dollars annually. He probably has used a tool like EvaluateAnyWebsite which estimates that LL might make a little less than US$7,000/month (at the time I checked that site). My own calculations are far more optimistic. 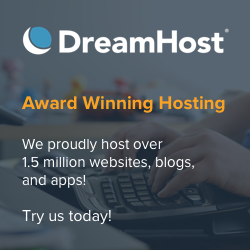 Go to alexa.com and look for the domain secondlife.com. Obviously, this includes everything — the main webpage, the forums, community pages, Wiki, SL Marketplace, and so forth. Alexa, of course, doesn’t give you the exact numbers (every statistic on the Internet is an estimate! ), and for all purposes they also hide some vital data from you. What they will give to you is a metric they call “Estimated percentage of global internet users”. What does that mean? For example, as I’m writing this, for the past three months, 0.0345% of all Internet users have visited secondlife.com every day, on average. We need to know how many page views that number represents. There are several ways to do that. The usual way is to look up statistics for Wikipedia, which are public, and match it with Alexa’s page ranking, and use that for a reference. I’ve seen many ways of doing the calculations, and not everybody agrees on the same results, so I’ve picked one reference and stuck to it for my own simplified calculations. So, at the moment I’m writing this, and simplifying the calculations a bit, Alexa estimates that the domain secondlife.com has around 27 million page views per day. Apparently, someone figured out that Alexa estimates that one user does, on average, 47.5 page views per day, which would bring the total to over 500.000 unique daily visitors, which would be consistent with Hamlet’s own numbers, and also be in line with the numbers we have heard Linden Lab quoting — a million regular users over a period of a month, but obviously not everybody logs in every day or even visits any page. I’m certainly part of the latter group. And of course we’re talking about error margins of at least 30-50%, which will give any scientist or statistician a heart attack. But that’s all right, I just need to figure out a ballpark range. 27 million daily page views is quite a lot. On my own statistics for this blog and several sites where I have some ads, I get roughly 10 cents per 500 page views, but I have an incredibly low click-through rate: (CTR) last year, for instance, I just had around 0.25%, while some guys on the Internet say that 10% is “good” (wow!). Using that low-end CTR, and assuming all ads pay the same (they don’t) — I’ll use the lowest payment setting, around 10 cents or so — Linden Lab could expect to earn around US$700.000. Per day. That would be something like 255 million US$ annually. A far cry from Hamlet’s own numbers! Of course all this might be wrong. Firstly, estimating actual traffic only via Alexa is very, very tricky, since it relies on a lot of assumptions which simply are unknown. They also rely on their own estimates based on people who use their Alexa toolbar and extrapolate the results for the whole world. The Alexa toolbar is a nuisance that usually only SEO guys are fond of using, in the hope they can improve the ranking of their own websites, and, as such, the results will be quite skewed. We also have no idea of the sample data that Alexa has — if they have dozens of millions of users using the Alexa toolbar, they might have relatively good results, but if only a few thousands use it, well, then the results will probably be all off the mark. Secondly, we don’t know how accurate Alexa’s reports are, unless you’re a paying member and have access to the statistics of your own website. To give you an example on how wrong the numbers can be, Alexa estimates (using the above formulas) that I get 55k page views every day, when in fact I have… 76. Well, on good days I might have more, but my absolute record was 1680 on a single day. So clearly Alexa is totally wrong — but that’s to be expected: almost every article about Alexa explains that their statistics for tiny websites is hopelessly wrong, and it’s just on the most popular sites that they start to deliver accurate results — and we have no way of knowing how “popularity” is measured for sites like Second Life. Is being #2,836 “popular” or not? Then we have to take into account CTR and payouts. Since all I can provide is my own statistics, it’s hard to project what will happen on SL’s websites. CTR might be much lower but pay more per ad; or it might be way higher but pay less. There is no “average” here — it totally depends on the viewing population, which is impossible to know in advance. Also, as you’ll be reading further below, the SL resident population is utterly against ads, and this might mean a much, much lower CTR. And finally, the calculations assume that all traffic coming from secondlife.com will carry ads. This is very likely not going to be the case. Only Linden Lab will know how many pages or sites under the secondlife.com domain will carry ads, and they might just be a slight percentage of all existing pages. Obviously this will mean a much lower opportunity for earning revenue from ads. And, last but not least, while the secondlife.com domain might generate traffic, a lot of that requires a login. Current Alexa toolbar users who are contributing to the statistics will just see a limited amount of pages — unless they’re also SL residents. So clearly it’s hard to extrapolate, when there are lots of areas which are reserved and only seen by a tiny fragment of the Internet population. So while I think that “five figures” is way underestimated, I hardly expect Linden Lab to make 255 million dollars out of ads. Clearly the “correct” number will be in-between. The point is, we have no way of knowing — but neither has Linden Lab, unless they start doing experiments, which is precisely what seems to be happening. The question that remains unanswered is simply if it’s worth the trouble. Hamlet, underestimating the total amount, will obviously conclude that it’s pointless to get a revenue of a few dozens of thousands of dollars, when faced with complaints and anger from residents. He’s quite right. On the other extreme end of the spectrum, my exaggerated overestimation of US$255 millions would mean three times LL’s current revenue. Under those circumstances, LL could simply give away regions for free — they wouldn’t need to charge for tier, ever. Which would, in turn, completely explode the size of the landmass, as everybody would grab as many sims as they could, completely destroy the real estate market, put all OpenSim grids out of business, and attract zillions of residents — increasing the number of page views exponentially, and thus providing even more ad revenue. Well, that’s really not going to happen. At best it’s reasonable to expect that LL might recover the losses from a decreasing landmass — about 10% lost revenue — and thus aim to get some 7 or 8 million US$ from ads. I see this as a possible goal. Granted, it means doing that every year from now on, thus constantly increasing the revenue from ads as the landmass shrinks. How long can they continue to do that? All good questions, and there is obviously no answer. How do people place these ads? While Linden Lab is not saying anything yet, it’s quite possible that clever residents may target their Google AdSense campaigns to have a high degree of probability of showing up on Linden Lab’s website. So if you’re an active Second Life resident, and view your Dashboard (or other LL sites), it’s highly likely you’ll get ads for SL-related (or at least LL-related) products and services: that’s the way Google ads work. It’s just hard to know, when you buy a campaign from Google AdSense, how often your ad will be displayed on LL’s websites. Hamlet and others are suggesting a mixed model, which is not unreasonable and used by many websites sporting ads (including the one you’re reading right now 🙂 ) — allow residents to by ads directly, which would be seen instead of Google Ads. If not enough ads are sold — and not enough revenue provided through that — then the remaining ads could come from Google. Or they might use a mixed approach: have some spots reserved for Google Ads, others for resident ads. The question, again, is estimating how much an ad is worth on LL’s website. And this is directly related to its traffic. On the lower end (Hamlet’s numbers), LL might be able to sell ads to residents for a few dozens of dollars per month. But on the higher end (my own hyper-inflated and highly unreasonable calculations) we’d be talking about ads worth hundreds of thousands of dollars. So clearly LL would not be selling them cheap. By contrast, using AdSense, ads specifically targeted to appear on LL’s site will be rotated among everyone placing them there. The more there will be, the less often your specific ad will appear. This, in fact, might be the whole point of using Google to serve ads instead of trying to sell them to residents. I imagine that the “real” value of those ads is much higher than Hamlet estimates, too high for residents to afford. And, of course, SL residents are aware of the differences and want SL to continue to be different. So, from a psychological point of view, these residents — specially the ones most active, and often spending hundreds or thousands of US dollars in SL — don’t want SL to become some kind of “3D Facebook”. They reasonably argue that if they enjoyed the attitude of other social environments, they would be there and not here. The reason why they’re in SL is because it’s different and allows things that are completely impossible or forbidden on other social environments. Second Life has a mixed model. It’s mostly a paid service — Premium accounts, virtual land ownership, transaction fees on the SL Marketplace and the LindeX — but perhaps some 90% of all accounts don’t pay anything whatsoever. The few that pay support the costs of running the service for everyone else. Mixed models are not unusual, and it’s quite common that most services using a mixed model will have a subscription-based “premium” access, and a “free” service where you get ads. For example, many WordPress themes are “freemium” — you can download them for free, but ads will be embedded on the theme template, unless you’re willing to pay for the theme, at which point the ads disappear. Also, in this case, Linden Lab seems to be targeting ads not on their home page — which would be relatively reasonable to accept, specially if you’re not logged in — but on the dashboard, which is not publicly visible, but only after you log in with your account. This is a bit unusual, specially if you’re a paying customer. On the other hand, we accept that cable TV — a subscription-based service — will have ads on almost all channels. So obviously there is not a single rule for everything, and we have different expectations regarding different media. We expect paper newspapers and magazines to have ads in them, even though we pay for the cover charge. In-flight magazines have ads, even though we pay for the airline ticket. Hotels might have outdoor advertising, even though we book into rooms. When going to the movies, we usually get some ads between trailers, even though we paid the full price for a ticket (which, in turn, might feature ads on the back). On the other hand, when we buy a car, we don’t expect ads to be featured in them (even though the Smart car brand used to allow you a huge discount if you were willing to buy a car with ads painted on it!). So we have different expectations regarding where we accept ads to be displayed, and where not. To give a typical example, the cover cost of a paper-based magazine or a newspaper is just a fraction of how much it would cost if there weren’t any ads inside; in fact, that’s the reason why “free” newspapers are increasingly popular (the publisher just needs to sell a few extra ads to compensate for the tiny cover cost which they gladly forfeit). We rather prefer to have a few more ads and get cheaper newspapers and magazines. I think this is pretty much part of the reasoning that Linden Lab is following: with decreasing revenues from tier, and little hopes of increasing the user base, the alternative is to put a few ads here and there to compensate for the loss of revenue. The alternative would be to raise tier — and that’s obviously out of the question! Personally, I’m so “numbed” by ads that they don’t bother me. But I think it would be reasonable to display ads only to non-paying residents. It would give Premium and land-owning residents a feel that their money is more important than ads. Since only a small fraction of the resident population actually pays anything to Linden Lab, this would not cut much on LL’s overall ad revenue. So why didn’t they do that? I think that the answer is simple. Linden Lab toyed with the idea of placing ads here and there; we already experienced the drama resulting from the introduction of ads on the in-world search engine first, and later on SL Marketplace. 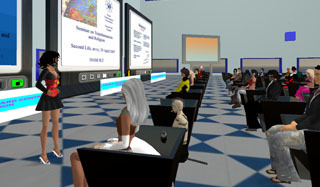 But the truth is, content creators — which are a source of income for Linden Lab, since most of them need to pay tier for their content to be available for sale, or at least pay transaction fees on the SL Marketplace and/or LindeX — demanded mass marketing opportunities to let their customers know where to find them. There was no choice to display those ads to everybody. What LL is probably thinking is that they can expand those ads on further places. Two years ago, they experimented with their own ad-based system. Even though there are scattered reports that this worked out fine for some beta-testers (who did see an increase in sales), possibly it did not generate enough revenue to be worth the trouble. And of course this would only make sense if everybody — paying and non-paying residents — would see those ads, or else they would be pointless for potential advertisers, specially because it’s Premium and land-owning residents who are more likely to buy content and services in SL. They’re the actual market for advertisers, not free residents without money to spend. So, well, LL moved on to a professional ad distribution platform — and what could be best but joining the leader in Web-based advertising, Google?